Only 2 year after the swelling started, the benign tumour in Hawa’s mouth had grown so large that she could barely eat. Their neighbours said she was cursed. 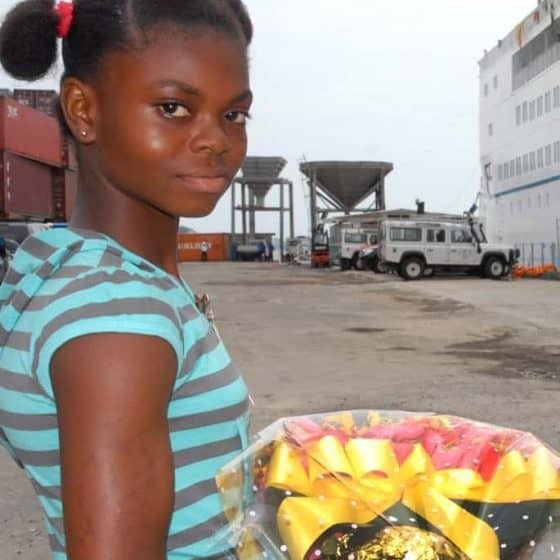 But Hawa found hope – on a Mercy Ship. Hawa was just 6 years old when a benign tumour began to grow in her mouth. Her mother initially thought a tooth was about to fall out, however, the swelling increased. 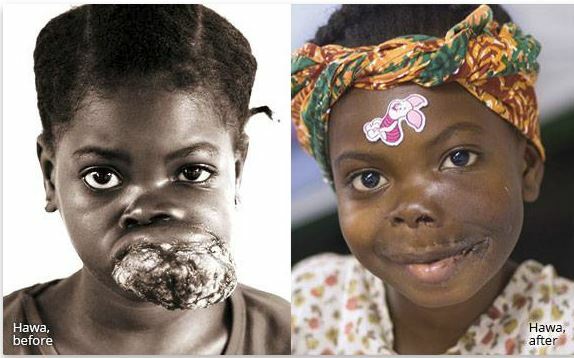 A year later, the tumour had grown to fill Hawa’s mouth. Meagre meals fed through a straw were the only thing that kept her from starving. 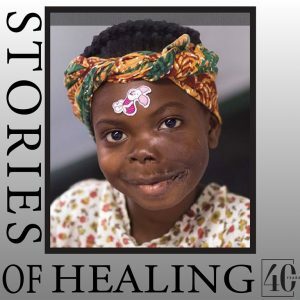 Hawa’s disfigurement led villagers to believe she was cursed. Local doctors examined the tumour and told her parents there was no hope. Hawa and her family were threatened, outcast, and left to fend for themselves. Hope was fading fast. In an OECD nation, this would have simply meant a basic surgery to remove the growth. But in 2005 in Sierra Leone, this was not even a remote possibility. 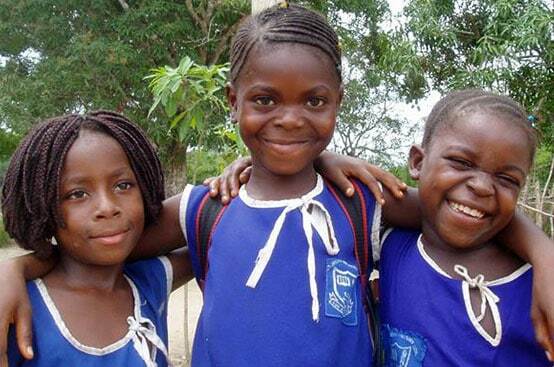 But Hawa’s father heard about the arrival of the Mercy Ship in the neighbouring nation of Liberia. In a final effort to save his little girl, Hassan made the gruelling two-day journey to the hospital ship with Hawa. Mercy Ships doctors examined Hawa and immediately operated to remove the tumour. On board the Anastasis, this precious child and her family finally found hope—and healing. Six years later, Hawa made a return visit when the newest Mercy Ship returned to Freetown in 2011 where she met Sierra Leone’s President and Vice President. Dr Gary, her surgeon, showed a ‘before’ photo of Hawa to the gathered audience. But he told everyone that he didn’t need to show an ‘after’ because Hawa was right there! She received a standing ovation. 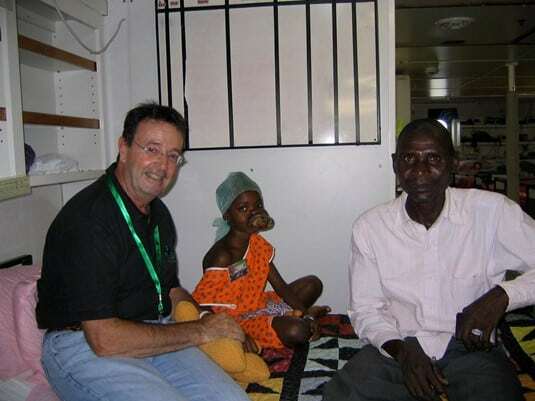 Pierre spent time with Hawa and her family during each of her visits to the Mercy Ship. 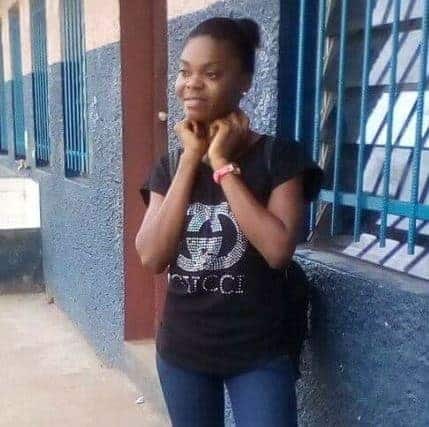 He says that he last bumped into her in 2017 when Hawa told him she wants to become a nurse. She was inspired to take others along the same journey; the road to hope and healing.